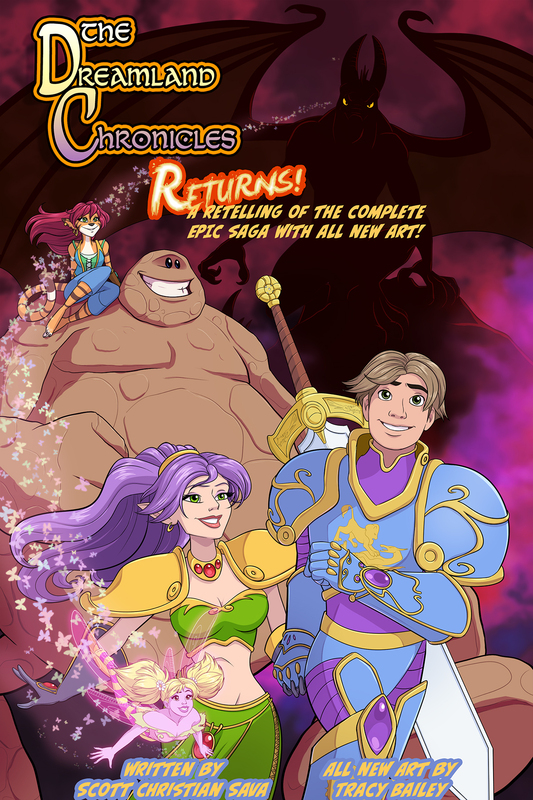 The Dreamland Chronicles » WE’RE BACK… SORT OF! We’ll post the first few pages here… then only on Patreon for anyone who would like to support us. Good News! I’m really looking forward to this! Any limits on how low we can go? I’m on fixed-income benefits and don’t want to go bankrupt for you. Sorry! Of course. It’d be a buck a month. I’m also looking into Webtoon too. $1 a month is about ideal. Thanks! Heck Yeah! I agree with CFsoftie, what will the tiers be? My funds are also limited but I do want to support the project, and possibly double dip on print books when available. I think the lowest I can set it is $1/month. HOpe that’s okay. This is excellent news! Do you plan to publish books of the new version over time or will it be strictly online? Thanks. And yes. I’m hoping to publish eventually. Thanks so much, Maurice! I truly appreciate it. That’s a pretty good deal. It’ll be nice to have a way to regularly show our support for your work, too! Thank you! We’re very excited! How fortuitous that after commenting 9 years ago, I would return to find this relatively recent announcement! I’m happy to have seen the ending after all these years, thank you for this amazing series!